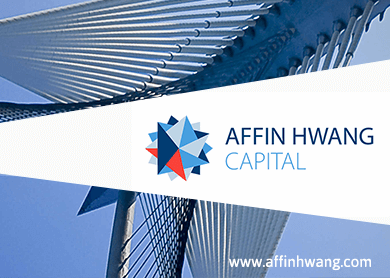 KUALA LUMPUR (June 30): AffinHwang Capital Research has maintained its “Neutral” rating on the FBM KLCI with a lower year-end target of 1,740 (from 1,820) and said the FBM KLCI was among the worst performers on the MSCI AxJ, ending 1H15 with a loss of 3.9%. In a note today, the research house said that growing concerns over the country’s fiscal position, an imminent US Fed rate hike and political concerns continues to weigh on market sentiment. It said weak 1Q15 corporate earnings had not helped. AffinHwang Capital Research said foreigners had remained net sellers and this could pressure the FBM KLCI to test its -1SD mean PE (14.8x), as market risk premium rises. “While an FBM KLCI correction may be sharp, it may not be protracted as domestic liquidity should provide support. “Moreover, the economy remains healthy and GDP growth is expected to step up to 5.5% in 2016E from 5.0% in 2015E. “Maintain Neutral, but with a lower year-end target of 1,740 points (15.7x 2016E EPS),” it said.